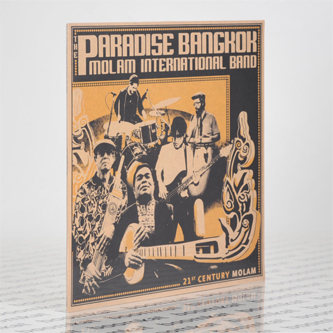 **Spry, sharp-cut updates of classic Thai folk with nuff funk in the trunk** "Born out of the legendary Paradise Bangkok sessions run by DJs Maft Sai and Chris Menist in Thailand, The Paradise Bangkok Molam International Band play vintage molam music from the North-East of Thailand, with a 21st century twist. The band have just completed a successful 2nd tour of Europe, which included a support slot for Damon Albarn in Berlin, as well as gigs in Germany, France, Switzer- land, Belgium and the Czech Republic. 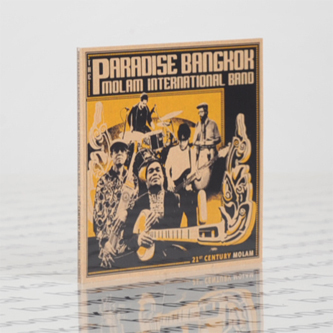 The album was recorded in Bangkok and mixed by Nick Manasseh in London, who also contributed a masterful dub to the band's debut single 'Roob Lor Pu Thai'. Chris Menist and Maft Sai are also behind the highly acclaimed 'The Sound of Siam' compilations on Soundway Records, as well as releases for Finders Keepers, Light In The Attic and their own Paradise Bangkok Label."